Before welcoming Fido or Fluffy into your family with open arms, you head to the store to stock up on supplies. Luckily, there are plenty of eco-friendly toys, grooming supplies, cleaners, and more on the market, all made with the health of both your new family member and the environment in mind. The food you provide for your furry, scaly, or feathered friend day after day plays a huge role in your animal's health and longevity. According to leading dog expert and trainer Louise Glazebrook, a diet of standard commercial pet food is equivalent to a human subsisting on fast food. Such foods often contain "meat derivatives," leftover animal parts deemed unfit for human consumption, which can contribute to many health problems, such as skin and fur issues, tooth decay, and diabetes. In response to such concerns, many companies now make fresher, healthier foods for animal companions. The Honest Kitchen, for example, produces both dog and cat foods made with human-grade ingredients. The company strives to buy from local and organic suppliers and never uses genetically modified organisms. Offering treats, grain-free foods, food mixes, a pet cookbook, and more, the Honest Kitchen distributes its products to pet stores around the country and products are also available online. A bag of food generally starts at about $25. Happy Dog Food is another company that uses whole ingredients to create a dog food base free from meat byproducts, artificial ingredients, sugars, and added flavors. Guardians simply add water, supplements, and a protein source, and their animals reap the benefits of simpler, more nutritional meals. Happy Dog Food can be purchased online, starting at under $20. 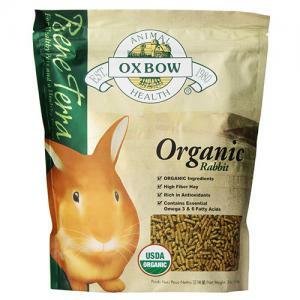 For smaller animals, Oxbow Animal Health's Bene Terra line of foods and treats is formulated with organic grasses and grains that closely match the fibers of a natural diet. The organic barley biscuits, meadow hay, guinea pig and rabbit food carry the USDA organic seal. Its rabbit food is fortified with vitamins and minerals and is available at many retailers nationwide for about $10 for a 3-pound bag. A happy pet is a healthy pet, especially when his toys are safe for him and the whole family. You might spot a bright red squeaky toy that will delight your new companion and toss it into the cart. What its packaging won't tell you, however, is that this toy could be one of the many popular pet products containing potentially dangerous chemicals, according to recent studies. Bisphenol A (BPA), which has already been banned in baby bottles in the U.S., is one such toxin that, over time, can leach out of a toy and harm your furry friend and the rest of your family. 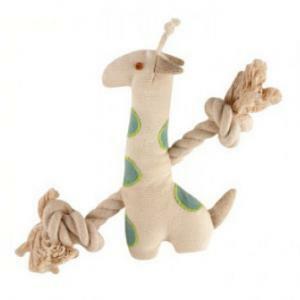 Olive, a member of the Organic Trade Association and Green America, offers dozens of eco-friendly pet dogs, including an adorable giraffe rope toy made with organic cotton, recycled fiber filling, and non-toxic dyes. For just under $12, your pooch can play tug o' war for hours on end. For felines, Honest Pet Products provides plenty of fun. The adorable Eco-Mouser, made of natural hemp and packed with organic catnip, will keep your kitty busy without harmful chemicals for less than 10 bucks. In addition to several retail locations in Wisconsin, Honest Pet Products can be purchased through a number of online retailers. Birds, bunnies, and other animals just love to chew--and often eat their toys in the process. Choosing healthy, safe treats for these animals is therefore imperative. Busy Beaks, based out of Texas, sells a line of Planet Pleasures toys for parrots. This colorful bird rattle, priced at just $10 online, is interactive and entertaining, all without plastic, glue, and toxic chemicals. Handmade, eco-friendly toys for chewing critters like rabbits and guinea pigs are also plentiful on websites like Etsy, where FarmerDavePetSupply offers an organic apple wood two wheeler chew toy costs around $6. 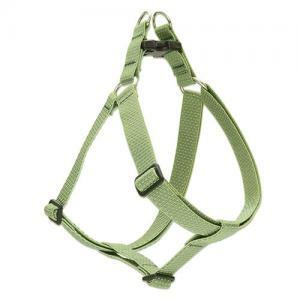 Clothing, leashes, harnesses, and collars are all now available in eco-friendly materials. The ECO Collection by Lupine offers colorful colors, leads, and harnesses for dogs and cats made from recycled plastic bottles and sold at hundreds of retailers around the U.S., as well as online. Ranging from $15 to $30, ECO products come in a variety of adjustable sizes. Tennessee-based earthdog, on the other hand, uses natural hemp in its canine accessories. Hemp requires less water and a smaller amount of pesticides to grow. These harnesses, ranging from about $30 to $40, are adjustable and available in stylish patterns. For the colder months, Organic Pet Boutique offers the Puppia Wilkes coat with built-in harness for around $90 to keep your pup's fur safe from the elements. This coat is water-resistant and lined with fleece. If you're looking for the perfect sweater, Baxter Boo has an amazing collection of organic dog clothing. You'll find traditional sweaters and adorable character styles like a sock monkey, a reindeer, and a monster to name a few. If you're into repurposing, watch a Martha Stewart video that provides step-by-step instructions for upcycling your own old clothes into a cute canine outfit while lessening your ecological footprint. Your buddy spends a lot of time snoozing while you're out and about, so it's important that his bed is safe and non-toxic. The West Paw Bumper Bed, made of organic cotton and containing recycled plastic bottle filling, looks so comfortable that you might even want to give it a try. West Paw sells items through its website as well as a number of retailers on both the East and West coasts. This luxurious bed comes in at just under 100 bucks. West Paw is also B Corp certified. The Nest by Big Shrimpy is hailed as a "washable, recyclable cloud." 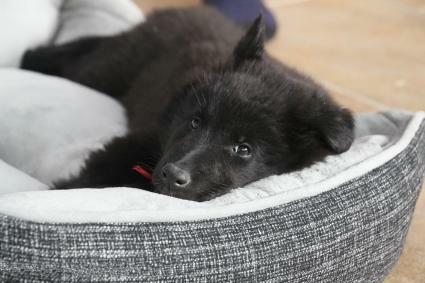 This plush dog bed is designed to last and last, with its 3-year warranty and durable faux suede exterior, and it's made out of 68% recycled materials. 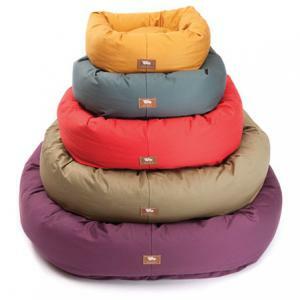 The Nest is available at thousands of stores around the U.S. and ranges between 100 and 200 dollars. Even small pets can sleep soundly with eco-friendly bedding. A hammock for small mammals by WolfspeakersWorkshop on Etsy is priced at just over $6 and made of upcycled denim and soft, cozy fleece. ECO Bedding by FiberCore, available on Amazon in a 10-pound bag for less than $40 and at retail stores around the U.S., is made of 100% recycled paper, providing a non-toxic liner for your companion's living space and helping her breathe easily without caustic chemicals or scents. Camille's Choice on Etsy sells natural, wax-free hemp hammocks for hermit crabs to hang out safely for $10 and under. Don't forget to seek out eco-friendly products for grooming and cleaning your pet, too. To help you achieve shiny, healthy coats, earthbath has formulated shampoos and conditioners for dogs and cats out of natural ingredients like aloe, oatmeal, and orange peel. Its Mango Tango conditioning shampoo, for example, contains simple plant-derived cleansers, mango essence, and vitamins. 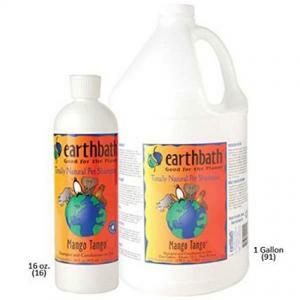 Earthbath products are sold by dozens of online retailers, such as Amazon, and retailers nationwide, many for less than $10 per bottle. Keeping fleas and ticks at bay is often a difficult chore involving the application of dangerous pesticides that, according to the Humane Society of the United States, have been linked to cancer in humans and have led to thousands of pet poisonings. Fortunately, natural flea-control products are flooding the market. Flea Treats, which can be ordered online for $7 and under for a month's supply, are tasty tablets containing a B vitamin complex that repels fleas, instead of potentially environmentally unsound chemicals. Only Natural Pet, also a member of Green America, sells a variety of flea and tick control products ranging in price, including combo packs that include herbal and holistic repellants made out of essential oils, brewer's yeast, garlic, and other natural ingredients. Other flea, tick and heartworm controls can also be natural, like keeping a clean house and adding nematodes to the yard. Don't forget waste clean-up! Natural kitty litters abound, like Green America approved Only Natural Pet's self-proclaimed "World's Best Cat Litter," whose corn-based formula contains no synthetic ingredients and which can be purchased for under $10 online. For cleaning up doggie messes, try suggestions for natural dog urine cleaners like using white vinegar, baking soda, or cat litter. Eco-friendly, non-toxic products will help your animal companion live healthfully and happily. These items abound online and are now appearing in local pet shops and even mass retailers. Follow pet-friendly cleaning tips and practice organic lawn care as well. Greening all of your household products will help you avoid harsh chemicals and make your home safer for the whole family.